Holding court in Belltown, Shiro Kashiba’s eyes, darting under expressive brows shaped like Mount Fuji, miss nothing. And that’s saying something. 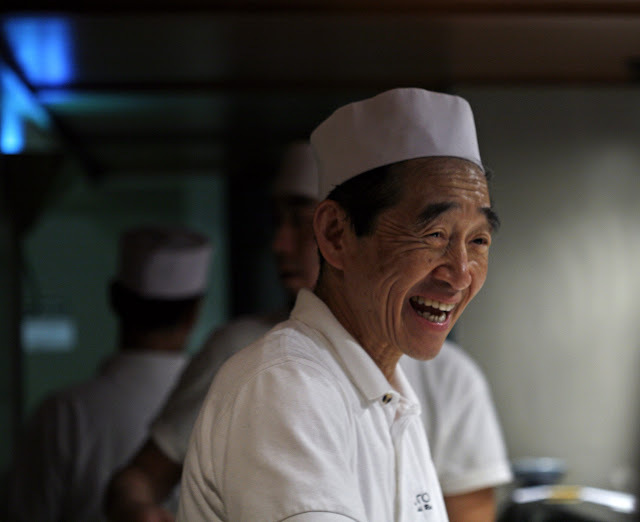 Three days a week you’ll find Seattle’s pre-eminent sushi chef right where he wants to be: standing behind his sushi bar, celebrating the fact that at 70, he’s doing what he dreamt of doing as a grade-school boy in Kyoto. These days he has something else to celebrate, and so do we: the publication of his memoir, “Shiro: Wit, Wisdom and Recipes from a Sushi Pioneer.” Beautifully photographed and illustrated, filled with memories spanning seven decades and two continents, the book chronicles his years spent as a sushi apprentice in Tokyo’s Ginza district and brings us up-to-date with Seattle’s contemporary sushi scene. That scene began in 1970 in old Japantown, where Shiro stepped up to Seattle’s first full-service sushi bar. It continues today, our sushi sensei now having mentored a cadre of sushi chefs who’ve been opening restaurants all over town. 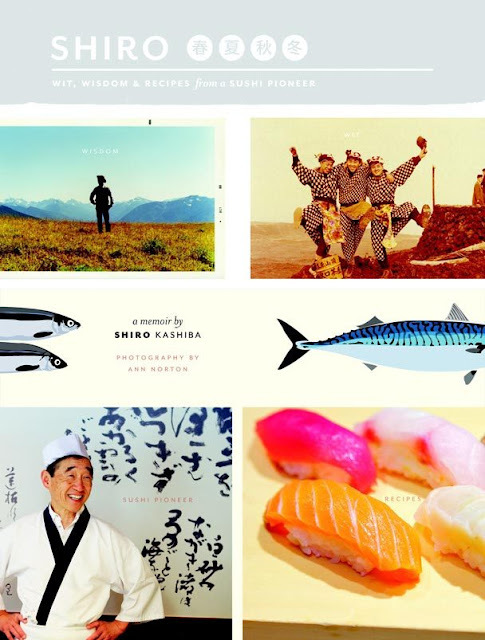 “Shiro: Wit, Wisdom & Recipes from a Sushi Pioneer.” You’ve got to read it. “Shun” (seasonality) is as constant a theme at Shiro’s as it is in his book, where he waxes rhapsodic over Pacific Ocean smelt while offering recipes for a summertime multicourse repast of them. For fall, he offers matsutake dobin mushi, fragrant mushrooms steeped in a delicately seasoned broth, served in a small teapot-like “dobin.” Lift the lid for an autumnal aromatherapy session, one I experienced for the first time more than a decade ago at Shiro’s. When it comes to selling sushi, “Americans like to see a show,” says the master, and he’s happy to perform. That’s not the case in Japan, where sushi chefs and their restaurants are more reserved, he says. Shiro then (in Kyoto in 1965, left) and now (at Discovery Park in Seattle). It took time, and talent, to change that. Shiro had plenty of both. 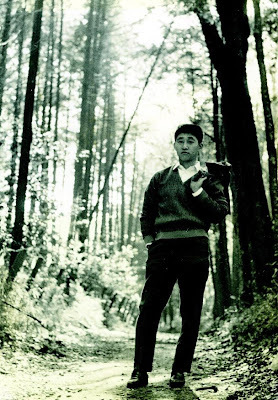 By 1972 he also had a wife and a restaurant, Nikko, on the outskirts of Chinatown. “When I owned Nikko, more than 70 percent of my customers were Japanese,” he told me once, recalling the heady days when “more than 200 Japanese companies had branches here.” After Japan’s financial bubble burst, that changed. Shiro’s book, written with help from publishers Bruce Rutledge and Yuko Enomoto of Seattle-based Chin Music Press, offers an honest retrospective of those times and all the rest, including the many highs as well as the inevitable lows. 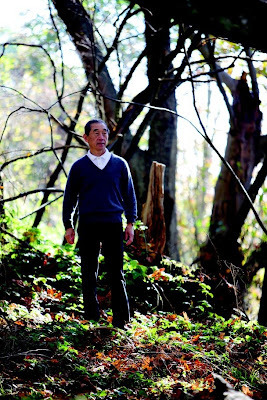 He sold the Nikko restaurant name and his professional services 20 years ago to the Westin Hotel, a rocky marriage that lasted a year, drove him into temporary retirement and led to a lengthy overseas adventure that found him back in Seattle where, in 1994, he opened Shiro’s. These days, 95 percent of his customers are American. Though he’s a traditionalist, most of his patrons are not. “They sit down and say ‘Give me a spicy tuna roll or a California roll.’ ” Ever the businessman, he does. Sushi novices may get a lesson from the master (“Don’t dip the rice in the soy sauce, dip the fish”), and despite what he says about who comes to his place, customers from around the globe seek him out — a point proven recently when the German couple seated next to me later ceded their spot to Australians. While Shiro’s has been quietly sold to a local sushi-restaurant investment group, that has left its namesake more time to do what he does best: shop for fish, mentor young chefs and perform thrice weekly for his devotees. Retirement? “I haven’t thought about it,” he writes, taking a page from his own mentor’s book: At 85, Jiro Ono continues to ply his craft in Tokyo.